It is said to be believed that soon MS Paint will either be deleted from the list of Windows 10 features or might become inactive and completely get removed in the future. Gone will be the days when people used to capture screenshots by pressing the Ctrl/PrtScrn button on their keyboard and then paste the capture on MS Paint to get it saved in their desired format. There are still many users who take screenshots in the similar fashion. However, let’s not forget that with the ongoing advancement in the field of technology, we might lose MS Paint at some point in time because its future seems completely uncertain now. We should certainly not limit ourselves to MS Paint for capturing, editing, saving, and sharing screenshots from your Windows. In fact, there’s another screen-capture tool that has been remained an integral part of Windows for over fifteen years. It’s just that we have always overlooked this tiny little tool. You do know which tool we’re talking about, right? Well, it’s none other than Snipping Tool. The snipping tool was first launched by Windows back in 2002 when it tried to launch a tablet revolution. This tool along with other tablet-friendly utilities was included in the Windows XP bonus software pack. Fast forward to 2007, Windows again decided to add this small app to the Windows Vista but unfortunately, it could not garner any attention from the users because it was buried deep within the insides of the desktop operating system. Users had to go into Accessories to find the Snipping Tool or even activate it if it wasn’t turned on already. So, it would be wrong to blame the users for not knowing about this tool’s existence for all these years. As the name suggests, Snipping Tool is quite snipping in nature and extremely user-friendly. This little cutting tool allows you to capture full-screen shots, partial screens, active windows, and even erratically shaped screens. 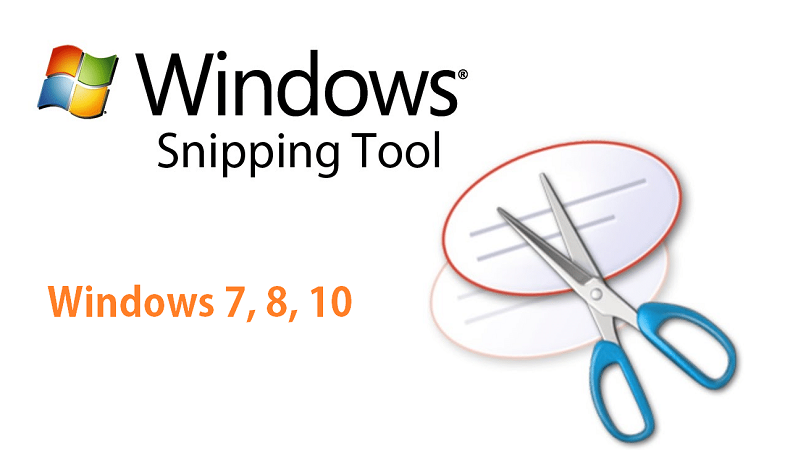 Snipping Tool can be easily found in the new versions of Windows, be it Windows 7 or Windows 10, thanks to Windows for finally paying due attention to this useful tool. It’s quite easy to operate a Snipping Tool. All you got to do is, click the Start Menu, type Snipping Tool or just the word ‘Snip’ in the search bar and you get to see the tool right in front of your eyes – its scissor and circle icon will capture your attention right away. There are only five options available on the tool’s interface, most of which are safe to ignore. At the extreme left is the New snip icon, which has a drop-down menu with four screen grab options; free-form snip for an erratically shaped screen; a rectangular snip for custom screen captures; a windows snip; or a full-screen snip that captures the whole desktop. You may also use the traditional Ctrl/PrtScrn key combination to capture screenshots and then see them getting pasted on the Snipping Tool (if the tool is open at that time.) To take a screen grab, simply click on the Snip option you’ve selected and everything’s done. Once you’ve taken a screen capture as per your own desire, a new Snipping Tool window appears on your screen, allowing you to make editorial changes in the screen grab. You may use the customizable pen tool, a yellow highlighter, or the eraser to make the necessary changes. It also allows you to copy the screen capture to a clipboard and can also be sent as an email attachment. Just like MS Paint, Snipping Tool is also quite old and simple but it won’t be getting replaced or removed by Windows anytime soon. Therefore, if MS Paint is ever threatened to be taken away from Windows sometime in the future, you know you can totally rely on Snipping Tool for all your screen grab activity.